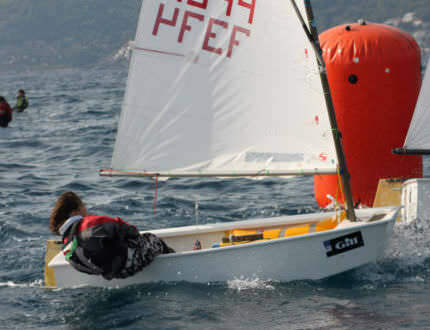 Worldwide recognized as the best Class to introduce kids to the sport of sailing the Optimist is one of the most popular boats in the world. 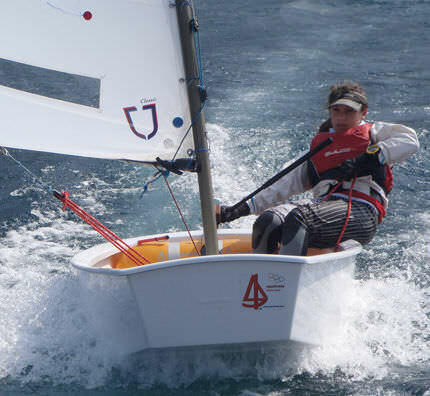 Competition after sailing school gets more and more exciting any time and people from all over the World enters International events and the World Championships. 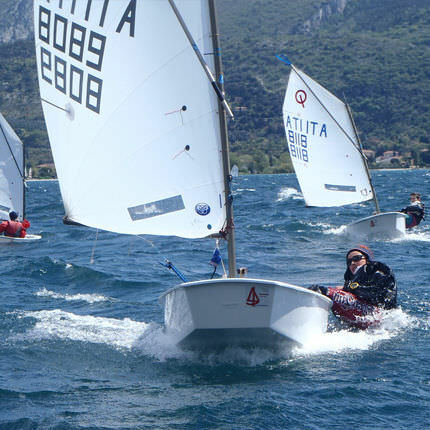 Nautivela has realized their version of the Opti starting from their own plug built under strict control of hull shape in cooperation with one of the most popular Dinghy designer in the World. 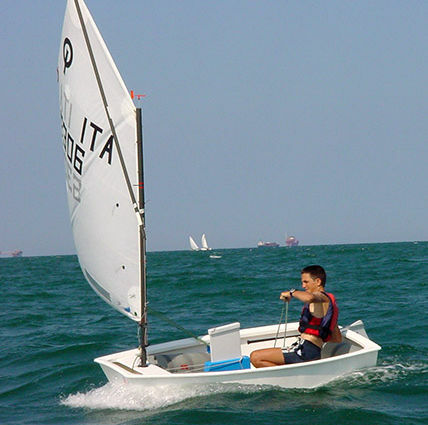 Volumes in the water have been optimized in the tolerances to give the boat the best balance upwind and downwind for the widest range of crews. The only eight month old design is already European Champion and winner of other major events. 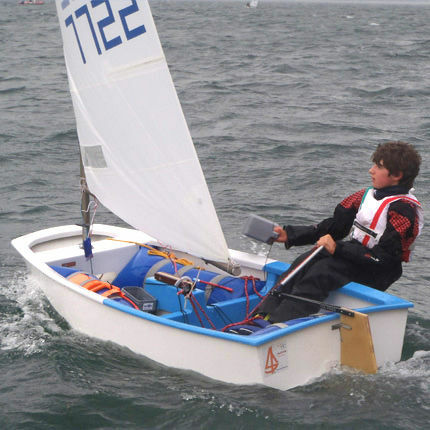 Taking down the experience from the high-tech Classes we build our racing Hulls are all cured by a thermical threatmen in our powerful owen working 24 hours to ensure the best strenght and the fastest response of the laminate under loads. Strict controls on the assembly toolings guarantee our boats can be considered EXACTLY SPOT ON in the most critical measurements.